CarGurus has 3,353 nationwide Panamera listings starting at $20,900. Following such successful vehicle introductions as the Boxster roadster and the Cayenne SUV, Porsche takes a bold step in a new direction with its first-ever four-door sport sedan, the 2010 Porsche Panamera. Porsche refers to the Panamera as No. 4, completing a quartet of vehicles that also includes the legendary 911 sports coupe, as well as the Boxster and the Cayenne. The Panamera offers a spacious four-passenger luxury-oriented interior melded with traditional Porsche sports car performance and handling, as well as an aggressive, low-slung exterior design that exudes the Porsche mystique. The Panamera borrows some of its exterior styling from the 911, particularly in its front end and wheel arches. In place of a grille, it utilizes air scoops low in the front fascia, and shows off its low stance and long profile when viewed from the side. From the rear, the Panamera displays its flip-up hatch with integrated spoiler and its impressive width, which ensures good stability and plenty of interior space. The 2010 Panamera comes in three trims for 2010, including the rear-wheel-drive Panamera S, the all-wheel-drive Panamera 4S, and the twin-turbocharged Panamera Turbo. A 4.8-liter V8 engine, which produces 400 hp and 369 lb-ft of torque, powers the Panamera S and 4S, driving both trims from 0 to 60 in 5.2 seconds. The engine features direct fuel injection and Porsche's VarioCam Plus variable valve timing system, which helps ensure powerful performance as well as fuel efficiency. At the top of the line, the Panamera Turbo rockets down the road, thanks to a twin-turbocharged version of the same V8 engine, which pumps out 500 hp and a whopping 415 lb-ft of torque. The powerplant drives the sport sedan from 0 to 60 in just about 4 seconds. In all three trims, the engine links to a seven-speed, dual-clutch Porsche Doppelkupplung transmission, which has both a manual and an automatic mode. The dual-shift feature provides faster shifts, ensuring a steady flow of power to the wheels. In automatic mode, drivers can choose from comfort or sporty gear shift patterns, while in manual mode drivers can use the shift knob or steering-wheel-mounted paddle shifters to change gears. In addition, owners can opt for a Sport Chrono Package Plus for the Panamera S and 4S, or a Sport Chrono Package Turbo for the Panamera Turbo. The packages feature an engine management system, which makes adjustments to the engine, transmission, and suspension to ensure optimal acceleration and overall performance, as well as a firmer, sportier ride. 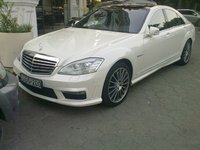 A dash-mounted Sport Plus button, a digital and analog stop clock, and a performance display are also included with the packages. The Panamera's V8s are the first eight-cylinder engines offered in a production Porsche since 1995, and many expect the Carrera GT's V10 and a diesel V12 will eventually be offered in the sport sedan. 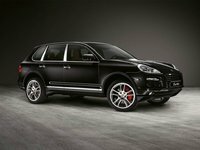 Some industry watchers have also noted rumors of a Panamera Hybrid, which would use the same hybrid technology the automaker designed for the upcoming Cayenne Hybrid. Inside, the four-passenger Panamera comes well-equipped with a wide range of luxury-oriented and high-tech features. The Panamera S and 4S feature partial-leather seats with eight-way power adjustment in the front, while the Turbo comes equipped with leather upholstery throughout and 14-way power-adjustable front seats with memory. In addition, the Panamera S and 4S come with heated front seats, while the Turbo keeps passengers comfortable with heated front and rear seats. In the rear, the two individual seating positions are divided by a center console with an armrest, storage spaces, and cupholders. The center console extends the length of the vehicle, from front to back. Buttons and controls for the sedan's various systems drift down from the dash onto the center console between the front seats, providing finger-tip control. The rear seats fold down to expand the cargo space, which can carry four full-size suitcases. All trims also include such standard features as a leather-wrapped multifunction steering wheel, a slide/tilt moonroof, automatic climate control, an automatically dimming rearview mirror, cruise control, power windows and door locks, and a power tailgate. In addition, all trims come standard with Park Assist, which provides audible alerts if rear sensors detect an obstacle behind the vehicle when backing up. Owners can add front Park Assist, with six sensors in the front end, as an option. Other options include a rearview camera, four-zone automatic air conditioning, a rear-entertainment system, and adaptive cruise control, which maintains a safe preset distance behind cars in front of the vehicle. All Panamera trims come standard with the Porsche Communication Management central control unit with touchscreen, which drivers can use to manage the audio, communications, and optional navigation systems. The Panamera S and 4S come standard with an 11-speaker, 235-watt AM/FM audio system. It includes an MP3 input jack and a DVD drive, which plays both CDs and audio DVDs. The Turbo upgrades to a 14-speaker, 585-watt Bose Surround Sound audio system with Digital Dolby and a 200-watt subwoofer. Owners of all trims can also opt for a 16-speaker, 1,000-watt Burmester High-End Surround Sound audio system with a 300-watt amplifier. Beyond that, owners can customize the Panamera to their liking, choosing from four colors of leather and seven interior trim options, which include carbon fiber and olive wood trim. Key safety features include antilock brakes and Porsche's Stability Management system, which improves traction and agility on wet or slippery roads. A full range of airbags, including knee airbags for the driver and passenger, comes standard. The Panamera S and 4S ride on 18-inch alloy wheels, while the Turbo rockets down the road on 19-inch alloy wheels. 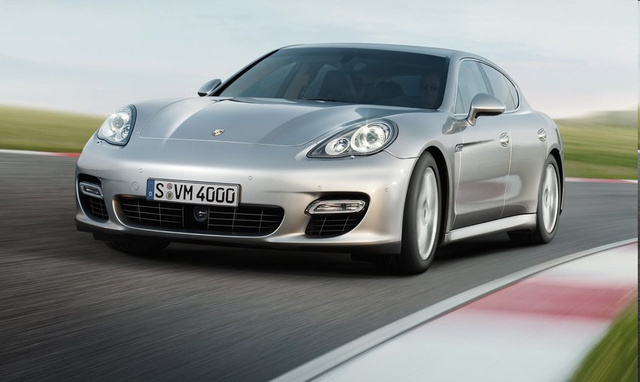 What's your take on the 2010 Porsche Panamera? Have you driven a 2010 Porsche Panamera? 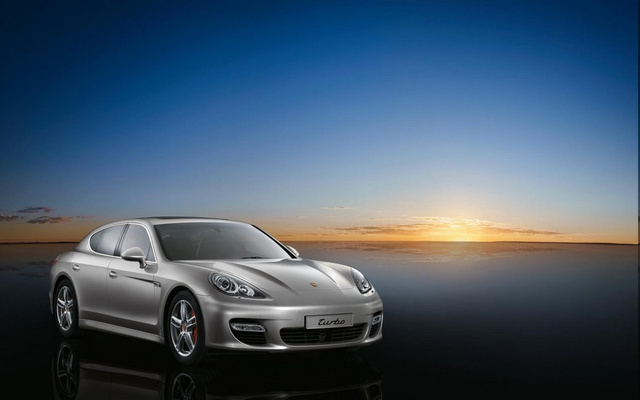 What Do You Think Of The 2010 Porsche Panamera?